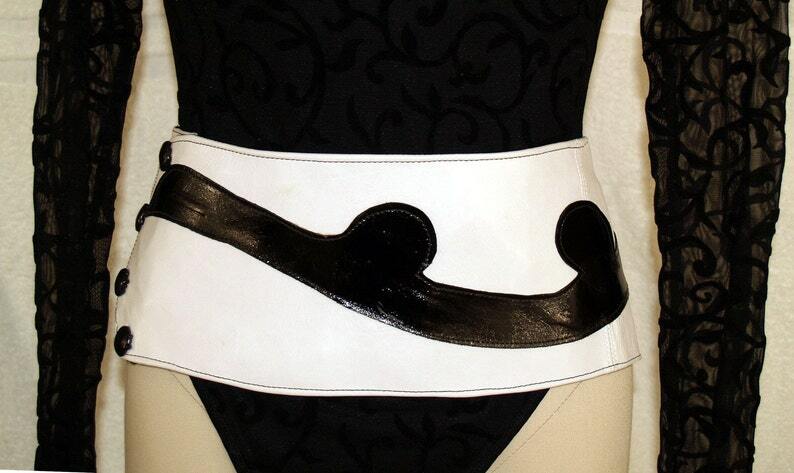 White Leather Belt with Black Patent Leather Accent. It's just plain sophisticated fun. This belt will add so much punch to any wardrobe. A belt that says "I am one of a kind, there is no other like me!" The waist is 36", but it can be easily downsized.